Every team needs a person that - regardless of the amount of stress being placed upon him - he remains unflappable. At Sherpa, Jeff fits that role perfectly. When you combine his calm under pressure with years of experience in programming for our client’s toughest projects, you have something special. 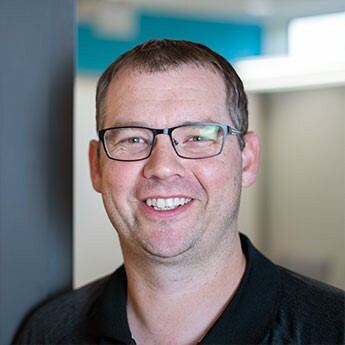 Whether it’s an extensive knowledge of the .NET framework or an uncanny ability to manage SQL servers, Jeff is a critical part of solving the most difficult programming challenges. Sherpa’s commitment to smartphone programming drove Jeff to become our resident iOS developer. Sherpa has a number of apps available in the App Store and there are more on the way thanks to Jeff!